Cunard’s Queen Mary 2 arrives in New York tomorrow, 77 years to the day that the original Queen Mary made her maiden visit to the Big Apple in 1936. Many things have changed in the intervening years, not least the fare for a crossing from Southampton. Passengers travelling in third-class accommodation on Queen Mary paid £8 10 shillings (£18.50) for the privilege. An inside cabin on QM2 this week was £1,199. A Main Deck suite in 1936 would have cost £102 per passenger; the Balmoral duplex suite on QM2 was a mere £9,016 – but did come with its own butler. Queen Mary’s maiden voyage began in Southampton on 27 May 1936. The ship left to the sounds of bands and ecstatic crowds. On board was bandleader Henry Hall, who gave a series of live radio broadcasts during the crossing. With him were virtuoso harmonica player, Larry Adler, and Frances Day, a well-known singer of the time. She performed Somewhere at Sea, a song written specially for Queen Mary by Henry Hall. Much as she may have enjoyed being at sea, Miss Day did not trust the ship’s eggs to be fresh by the end of the voyage, so she took along her own chickens! 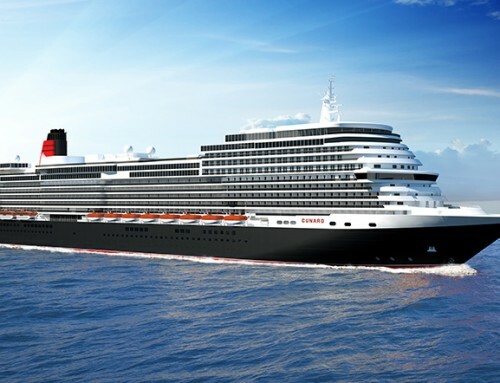 Cunard president and managing director Peter Shanks said: “Since her launch in 2004, Queen Mary 2 has proudly continued the Transatlantic legacy of elegance and glamour that Queen Mary personified during her long reign of service – the legend lives on. Queen Mary 2 left Southampton last Saturday; among the speakers on board to speak was Jeffrey Weinberg, adviser to seven US Presidents. Frances Day’s chickens would not have been able to cope with the demand for fresh eggs – 45,000 of them have been consumed during the crossing. Queen Mary would cross the Atlantic another 1,000 times during her 31-year career before being retired in 1967. Queen Mary 2 will make her 200th crossing on July 6. 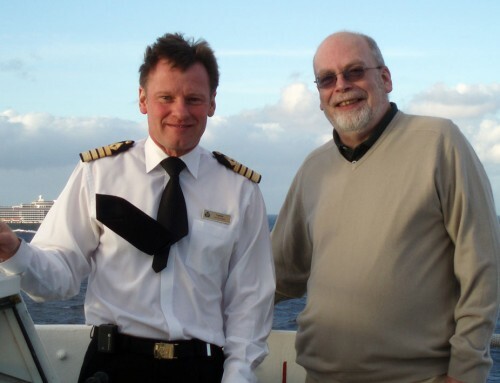 In 2014, her 10th birthday year, the ship will make a further 18 crossings. Two more significant differences: Queen Mary took just over five days to make the crossing and was able to berth at the Manhattan piers, within walking distance of Times Square. 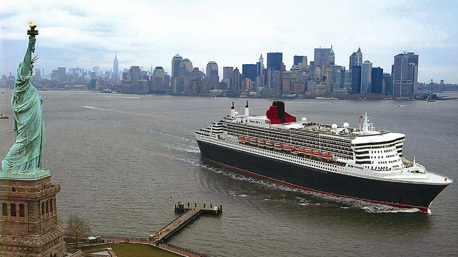 Queen Mary 2 spent a leisurely seven days at sea, and is too big to be berthed in the Hudson, using a cruise terminal at Red Hook, Brooklyn, instead. Queen Mary is now a hotel in Long Beach, California. I wonder where Queen Mary 2 will be in 2081, 77 years from her maiden voyage. Great article and very interesting – never heard the chickens story before! 77 years seems an odd anniversary to celebrate. On that basis, they might as well have done in after 71, or perhaps again in another 5 years. Why didn’t they mark the 75th anniversary, that’s usually thought of as a more significant milestone. It woudn’t surprise me if the year’s programme had been drawn up before someone realised the significance of June 1.